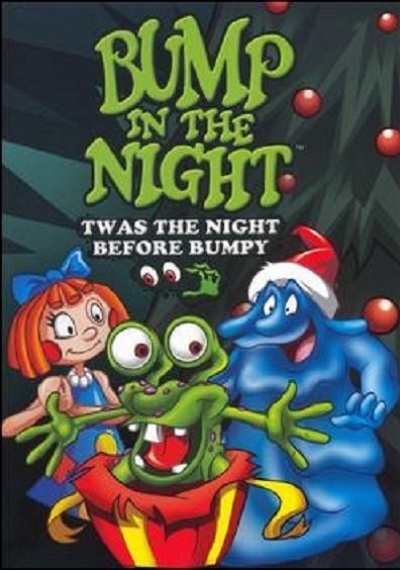 'Twas the Night Before Bumpy :: Movie Information :: RabbitTV GO! The following trio of lovable characters has emerged from every child's imagination and landed under the bed of a young boy Mr. Bumpy, the zany green, purple-warted mischievous sock-eating monster with the uncontrollable energy of a 10 year old. Mr. Bumpy is constantly getting into mischief, along with his two best friends Squishington, the malleable blob of blue goo who dwells in the household plumbing, and Molly Coddle, the levelheaded comfort doll that is a collection of doll parts sewn together by Mom.